The Shanghai Disney Resort will host the second Disney Inspiration Run scheduled on April 13 and 14, the company said on Feb 12. The race will introduce a new course called "The Disney Inspiration Kids Run" dedicated to young children, on top of the existing 3.5 km, 5 km and 10 km routes. 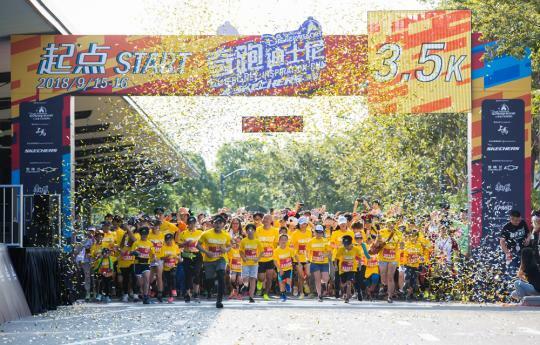 Both the 3.5 km and 5 km run will be held on April 13. The 10 km run, which is targeted at serious runners, is slated for April 14. With the resort set to be transformed by a spectacular display of flowers in mid-April, participants will be able to enjoy a unique Disney storytelling environment amid the colors of spring. The resort said it will also present a series of interactive environmental and nature-based activities during the two-day event. The inaugural Disney Inspiration Run drew some 10,000 participants in September 2018. The Shanghai Disney Resort will host the second Disney Inspiration Run scheduled on April 13 and 14, the company said on Feb. 12.